Shoot me an email if you want to come and I’ll let the hosts know. If you’re in Lafayette maybe we’ll car pool. 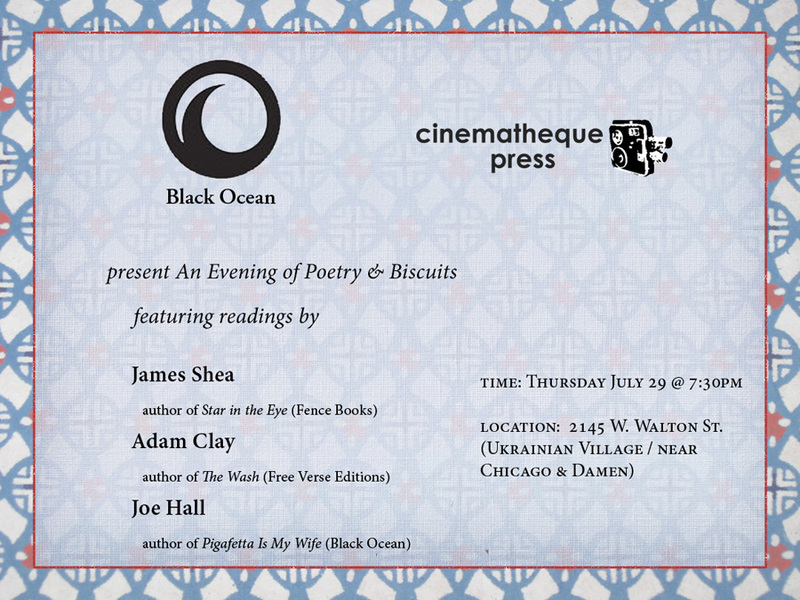 This will be my first/last Midwest Pigafetta reading. The rest this year are all on the East Coast. Also, the other poets look tremendous. Also, I just ate a bunch of corn fritters.